Rich Barry has performed for Martha Stewart, Google, NBC Universal Cable Group, Ferrari, and contracted production for House of Cards. He is classically trained from The Peabody Institute of Johns Hopkins University. The last direct pupil of Andrés Segovia praised him as "a truly innovative musician of the twenty first century". Since the age of 12 he has performed at over 1500 gigs. Notable venues in the past include, The Kennedy Center, Rockefeller Gardens, The Smithsonian, and Harvard University. 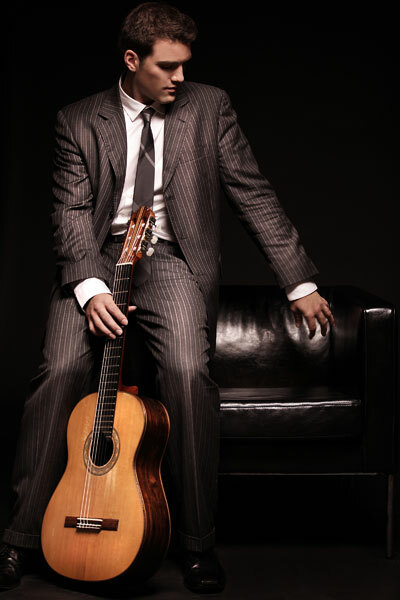 Rich Barry's repertoire ranges from Spanish, Flamenco, Tango, Jazz and Popular Music. He performs on a Jim Holler Guitar with Bose Sound Amplification. Rich was on-time, well-presented, and professional. A great choice if you want a cut above. The guests of all ages at our Christmas party loved his performance. Rich Barry definitely stood out during my time as a wedding planner and I recommended him to a friend who was getting married at a Virginia winery. His music was the perfect compliment to the relaxed, outdoor wedding and everyone loved the beautiful Spanish music that he played. Rich is extremely talented and I would highly recommend him for any special event. Rich was so perfect for our event! What we had planned on was not what the environment called for, but without even a blink, Rich took control of the room and made it amazing! Rich was a breeze to work with. He worked around our space constraints and selected the perfect music for our office holiday event. He plays beautifully and was complimented throughout the night by our guests. First GigSalad, it’s not clear how to rate someone according to your Star system. I want to give Rich the highest rating possible. Rich is simply extraordinary and professional in his communications appearance and demeanor. It was a pleasure dealing with him. His artistry made the event very special and heartfelt. He has my deepest appreciation and gratitude. I would not hesitate to book him again. Rich was the perfect musician for our wedding. He is so talented and adapted his music perfectly throughout the ceremony and dinner to set the mood and play our favorite types of music. Many guests commented on how much they enjoyed his presence. We 100% recommend Rich...!!! Rich was a wonderful musician and one of the highlights of our event; I would recommend hiring him for yours! Wedding ceremony and cocktail hour music. Rich was amazing. He was beyond professional.....great with communication, timely, and handled every detail after the initial contact. His music even exceeded that high praise. I cannot recommend him highly enough! Would engage him again in a minute! Rich Barry worked with me regarding the music to be played during the memorial service. He is very warm, and sympathetic. The music he selected fit the tone of the service that I was hoping to achieve. Many of the family and friends attending the service were quite impressed with his music and said so. The director of the funeral director asked for his business card. If I ever needed a guitarist for an event, I would not hesitate to engage Mr. Rich Barry. Rich played the guitar at a college graduation dinner celebration for 60 people at the Country Club of Fairfax. The music was fantastic, with a lot of Spanish pieces that were beautiful, which our daughter and her friends especially enjoyed, having spent a year in Spain during college. All the adults at the celebration similarly enjoyed the music. He played for both the reception and throughout the dinner, until the crowd left around 9pm. He was very flexible with placing himself at appropriate places at appropriate times and lending us his microphone for several announcements/toasts. A fantastic performer and a nice guy! Good music and very nice guy. I would hire him again. Beautiful music! And Rich is so nice. Everyone loved him! We had the pleasure of being entertained by Rich Barry for a private concert at our home celebrating a special birthday with family and friends. From the first contact, working with Rich couldn't have been easier. His quick response as well as determining the appropriate play list made me comfortable enough to know that I had made the right choice! We are still getting compliments for the evening and mention of Richs' memorable performance are included with the recipe for our success. Rich comes prepared. He goes way beyond what you expect and adds so much to the event. I recommend him very highly. He is an amazing guitarist and can create a great atmosphere. Everyone at our event thought he was great. Rich played before, during and after my wedding and it was perfect. Many of the guests came up to me and commented on how fabulous his music was and how well it set the tone. He was lovely to work with and very professional. I gave him little direction with what I wanted and he knocked it out of the park. I heard later that a few guests got his card for their upcoming events. I would hire him again and recommend him to anyone. Thank You so much Allison. You are too kind. Rich's music brought this company event to a whole other level. He was so wonderful to work with from beginning to end and was the perfect touch of elegance. Thank you so much for your professionalism, I will most certainly reach out for future events. Rich replied promptly to my request and understood exactly what I was looking for. Everyone at the birthday party was thrilled with the music. His playing was flawless and worked perfectly with the mood of the party. He is exceedingly knowledgeable about music and his technique is beautiful. We would happily hire him again and would recommend him highly to anyone looking to hire him. Mr. Barry was prompt, professional, and provided the level and quality of service we were hoping for. Rich has a wonderfully varied musical repertory, playing classical, Flamenco, and a few pop pieces. He played a lovely balance of songs for our event, striking the perfect mood. Would definitely request for Rich to play at future events. Thanks again! When I initially looked within this website I was searching for a violinist. Rich's profile was interesting so I added him into the possible list of vendors, as he plays the Spanish Guitar. He was the first one to respond to my request (within 3 hours). I followed up with a phone call where I explained what I was looking to do and the event that I was trying to create. Rich did not try to "sell" me, actually the opposite. He provided sound advice for me to review additional performers and what to look for within each one that may or may not fit my needs. He was excited for me, even though he had no vested interest within the event. My event (like many of yours) was extremely important and everything had to be perfect. Once I spoke to a few other vendors who gave me lukewarm answers and fairly high quotes, I knew that Rich's honesty and sincerity was the way to go. My only initial hesitation was he did not play the violin and I really wanted to set a romantic mood. I called Rich again, and we made the game plan. Immediately he gave me something that money can not buy, "peace of mind." He communicated clearly, set expectations up front, and did not spare any detail as to how the night should go. I had a set of ideas and he helped shape them into a plan, he suggested some alternatives for consideration which ended up working out much better. We were expected to get hit with a huge snow storm on the evening of the event. Rich did not put any special caveats in our agreement or try to back out. He re-assured me that he would be there and I had nothing to worry about. Rich met me at the restaurant and was sitting by (it began to snow and we were expected to get 6 inches). He "pretended" to be a paying patron of the restaurant and even took our picture when I asked him to. At the perfect moment, I asked my girlfriend to dance and Rich began playing the guitar. It was perfect. His execution was amazing and the Spanish Guitar was a better alternative to the violin (in my opinion). The major take away from my experience with Rich was his professionalism was top notch. He knew his craft and was passionate about making "my" night special. He even played a few extra songs and had to wait at the restaurant until we got there due to traffic and weather, but never charged extra or even followed up about it. This will not be the last time I use his services. Excellent musician. Enjoyed having Rich at our child's birthday festivity. Rich was polite and punctual. He played for my husband's funeral service beautifully and perfectly. I couldn't have asked for a better musician and guitarist. Thank you Barry on behalf of my family. We decided that if we hosted a fundraiser for Christmas In April, PGCo., we wanted something more than to offer our guest dinner and then ask for their charity. So, we went to Gig Salad and found Rich Barry. Having heard Mr. Barry's music at National Harbor we immediately made the decision to add something special to our outreach event. Mr. Barry proved to be the perfect choice. Can you imagine a Paella Dinner poolside transported to Spain by way of the Classical, Spanish Guitar. Mr. Barry did all of that and more by being professional, personal and endearing. Needless to say, the dinner was success, our guest were both impressed and generous. Our appreciation to Rich Barry for a moving and memorable performance by contributing and creating the perfect ambiance. Hit at our Holiday Party! We hired Rich to come play for a few hours for our Client Holiday Party at work and the guests loved him! He has been playing at our Holiday Parties for many years now & is great to work with. Very professional & extremely talented. We look forward to having Rich back next December!! Rich Barry was a perfect fit for our occasion. Hired Rich Barry for a 30 minute performance in our parlor. I can confidently say Rich Barry's performance was world class and a rewarding career as a guitarist is certain. Insurance: Liability - 3,000,000$ Liability Coverage for venues that require insurance. Performs range as a solo guitarist and in duos, trios, and ensembles with violinists, flutists, cellists, vocalists, percussionists, and other guitarists. 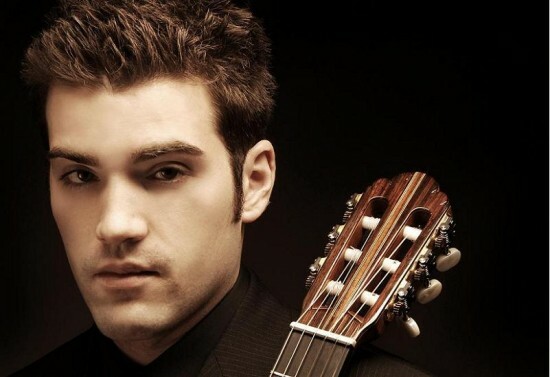 His style ranges from classical, Spanish/flamenco, jazz, and pop. Notable performance venues of Rich Barry include the Peggy and Yale Gordon Center for Performing Arts, The Kennedy Center, American Academy of the Arts and Sciences, The Embassy of Canada, The Harvard Club of Boston, Rockefeller Center, The Boom Boom Room, Salle Françoys-Bernier Hall, Andrew Mellon Auditorium, George Washington Memorial Hall, Vizcaya Museum, Academy of Art Museum and The Frank Lloyd Wright Pope-Leighey House. Rich Barry’s dedication and passion of performance is equally matched with his advocacy of arts and music. In 2010 he was invited to perform at the second annual National Cultural Heritage Exchange in Washington DC. This exchange on Capitol Hill brought together ten federal agencies and twelve national entities including the National Endowment for the Arts and The President’s Committee on the Arts and Humanities. He has donated his time and performances with outreach work through the Candlelight Concert Society, Elev8, Every Man Theatre, The Greater Baltimore Cultural Alliance, and The Ronald McDonald Foundation. In honor of his veteran father who supported and nurtured his musical career Rich Barry also uses his abilities as an avenue of appreciation to members of the military. He has performed at Dam Neck Annex, Fort George Meade Officers Club, Joint Base Fort Myer-Henderson Hall, Fort Belvoir, and Fort Meade. In 2010 he collaborated with EMI composer Zade Dirani on the ‘One Night in Jordan: A concert for Peace’ in the Middle-East under the support of King Abdullah II. He has also performed for members of the House Select Committee on Intelligence and has given private performances attended by Generals, Statesmen and Soldiers. Since starting guitar lessons at the age of four the life of Rich Barry has been dedicated to a career of the guitar through extensive education and experiences. At age nine he gave his first major public performance at Steadman Auditorium. By the age of twelve he had already studied with nine university level instructors, attended conservatory preparatory at Juilliard, Eastman and Interlochen and had won several music competitions. 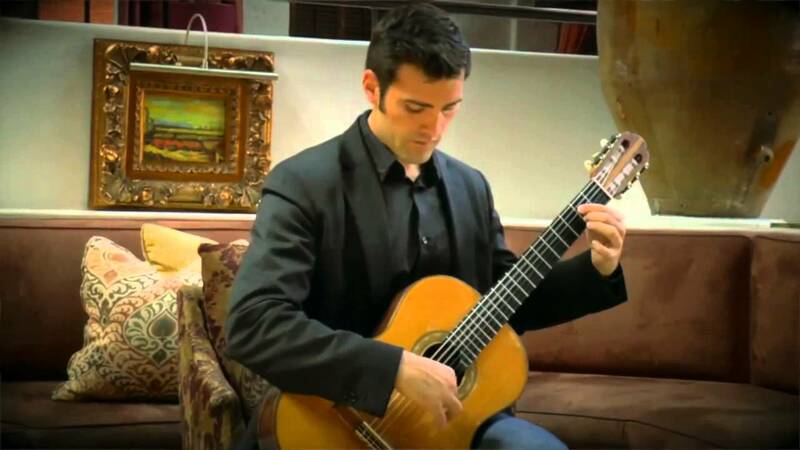 Study with Dr. Pablo Cohen, the professor of guitar at Ithaca College and Cornell University guided Rich Barry to The Peabody Institute of Johns Hopkins University where he was awarded the prestigious Rose and Leon J. Neiburg Scholarship followed by a full graduate teaching assistant scholarship. While at Peabody, Rich studied with the esteemed pedagogue and performer Julian Gray, the current chair of Peabody's guitar department. Stereo Wirelsss Microphones with Bose L1 Speakers. The Beatles, Sinatra, Bon Iver, Coldplay, Manuel Barrueco, Rodrigo and Gabriela.